Brendan Rodgers outlines why the Old Firm Derby is not the biggest encounter this season: Do you agree? Celtic currently sit pretty on top of the Premiership table – six points ahead of Glasgow rivals Rangers FC. But that gap could have been even more had the Hoops not lost the Old Firm Derby to the Gers in December. The derby was billed as the season-defining match by many fans and after Celtic lost it 1-0 many believed that Rangers would move ahead in the title race. That though has not been the case since the Teddy Bears have dropped multiple points since that game and now Brendan Rodgers has revealed that the Old Firm Derby is no longer the match which defines the whole season. 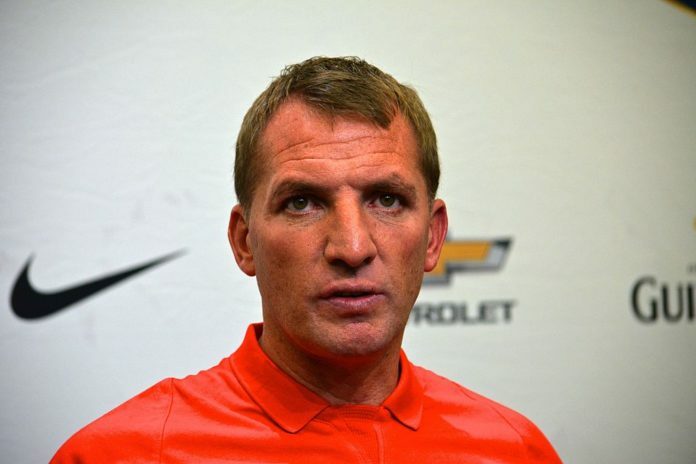 “I don’t think so – I think it will be important,” Rodgers said. “The league is very competitive. We are six points clear but there’s a long way to go but Aberdeen and Kilmarnock are up there with Rangers. “There’s a lot to play for and it’s an exciting challenge. Since that victory over Celtic, Rangers have dropped points against Kilmarnock whereas the Hoops have scored 12 goals in just four games. And the season could get even worse for Steven Gerrard’s men if they keep on dropping points since Kilmarnock are tied on points with them while Aberdeen are just two points behind them. Read: Rangers midfielder reveals what they should do in order to turn the season into a success. Read: Here are all the players who have donated to the search operations of Emiliano Sala. Read: Brendan Rodgers advises Maurizio Sarri what he is doing wrong at Chelsea. Read: Man United legend raves about ‘this’ Rangers man. Previous article4-3-1-2 Arsenal’s predicted line-up vs Man City: Will Mesut Ozil retain his place in the first XI? Next articleHere’s how Man United might line up vs Leicester City: Will Pogba and Martial start?